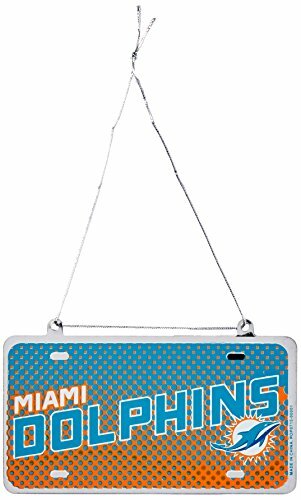 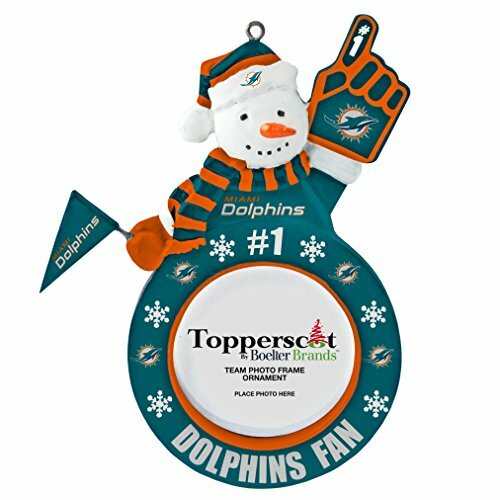 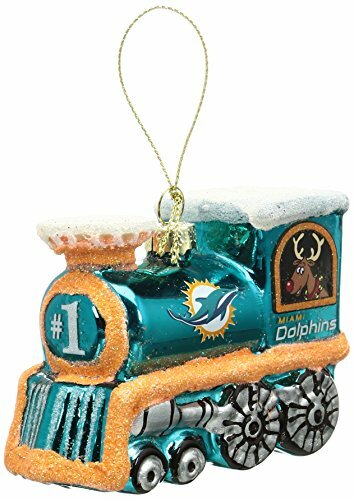 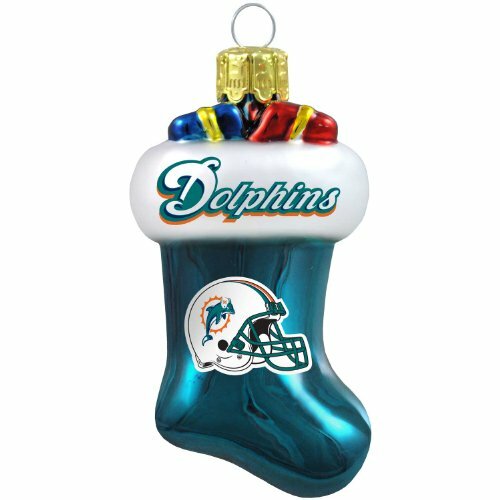 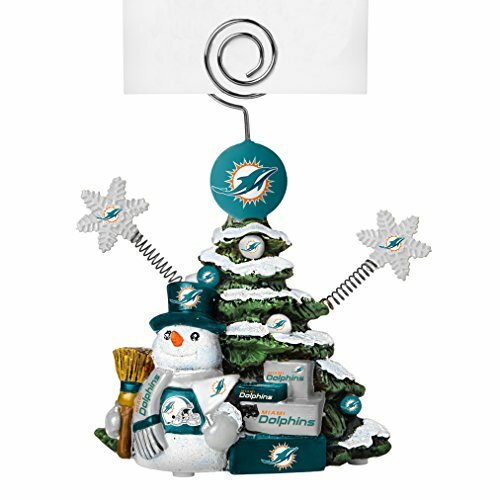 The Miami Dolphins Christmas Tree Ornaments in the team’s signature colors of aqua and orange will make any Fins fan happy! 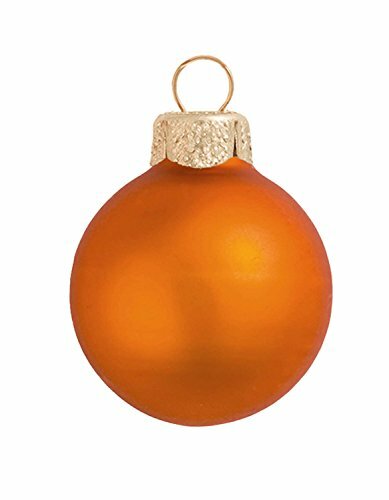 Aqua and orange might seem like odd colors for Christmas decorating but they are actually quite striking. 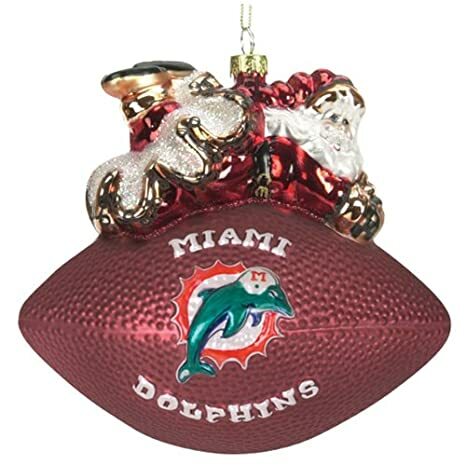 They are especially fitting in a tropical setting, where the Dolphins are from. 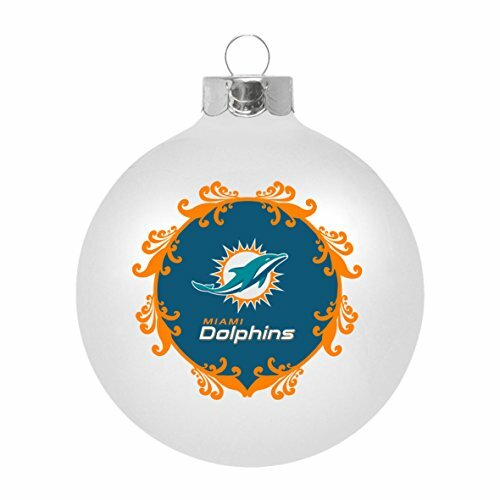 If you’re doing a tree dedicated to Dolphins ornaments, you can easily accent with white, aqua, or orange. 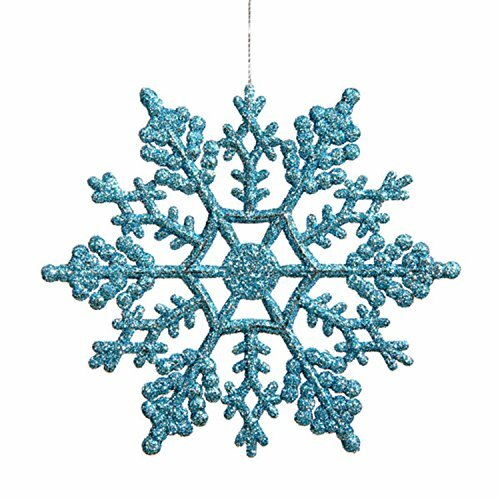 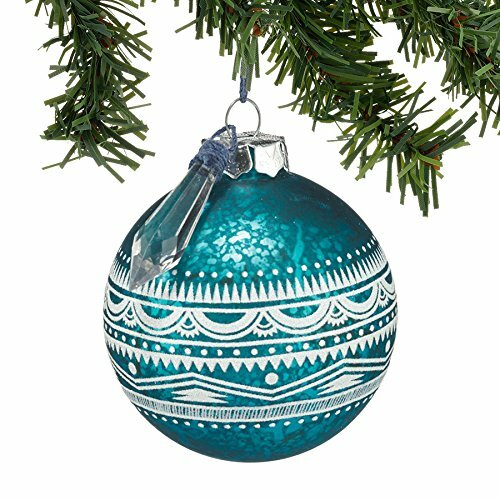 Scroll down the page for a selection of aqua and orange ornaments. 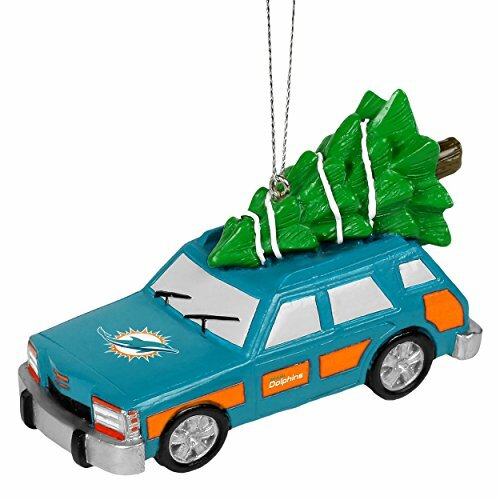 Footballs and helmets make for standard NFL ornament fare, but it’s the station wagon and the Christmas stocking in Dolphins colors that are Christmasy and cute. 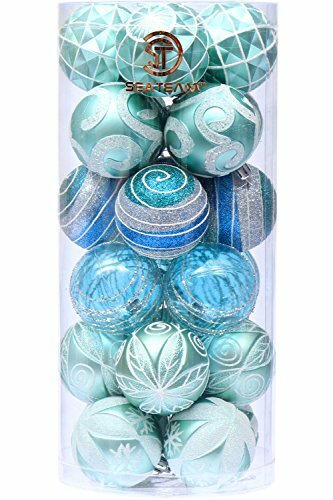 This is a super set of ornaments. 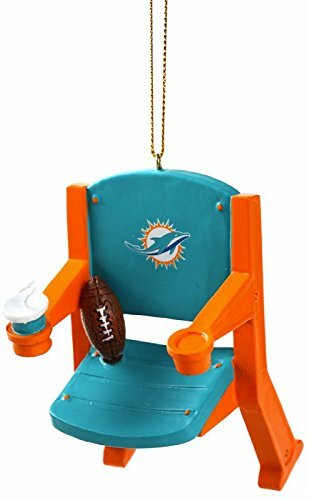 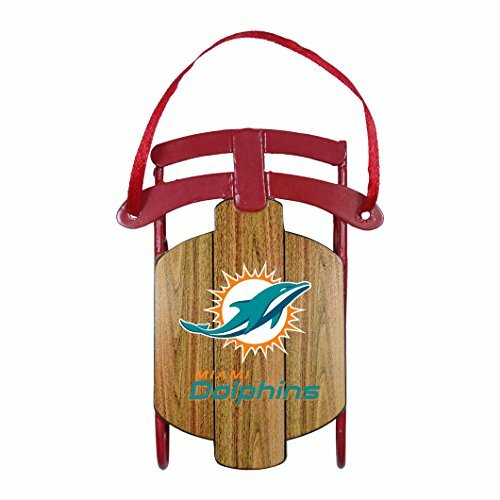 A stadium chair in the Miami colors and the Miami Dolphins logo are both excellent choices. 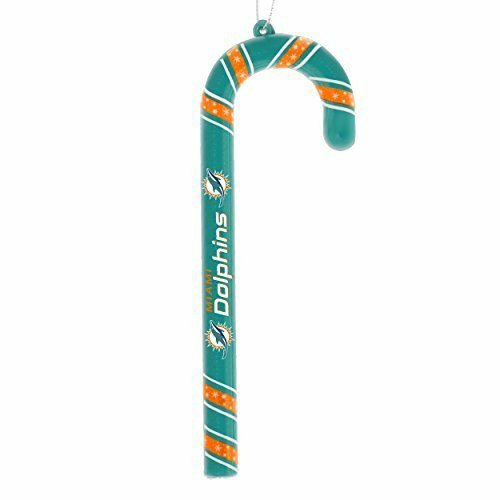 You can’t go wrong with a Dolphins helmet and a Christmas candy cane. 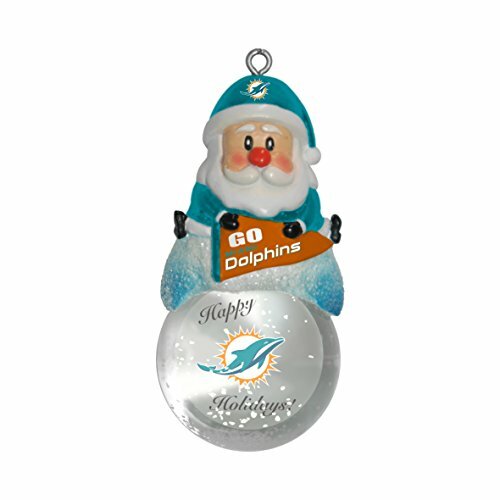 Cute novelty ornaments such as these make good gifts, as well as looking good on the tree. 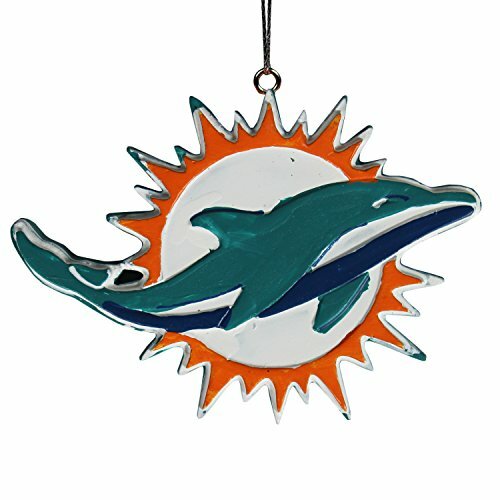 The colors of the Miami Dolphins are aqua and orange. 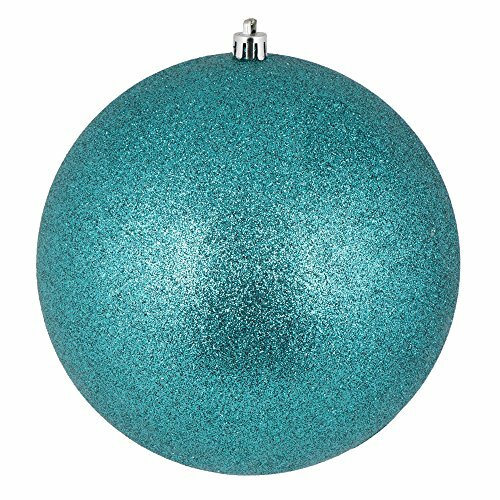 Sometimes a navy blue accent is used. 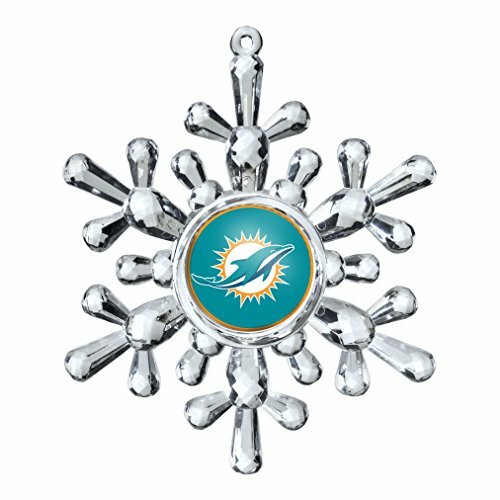 The logo is a dolphin in front of a sunburst. 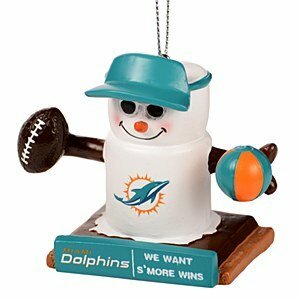 The dolphins joined the NFL in 1966. 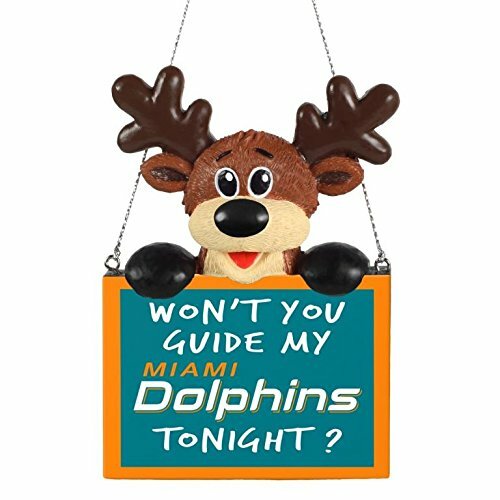 Do you remember Danny Thomas, the comedian? 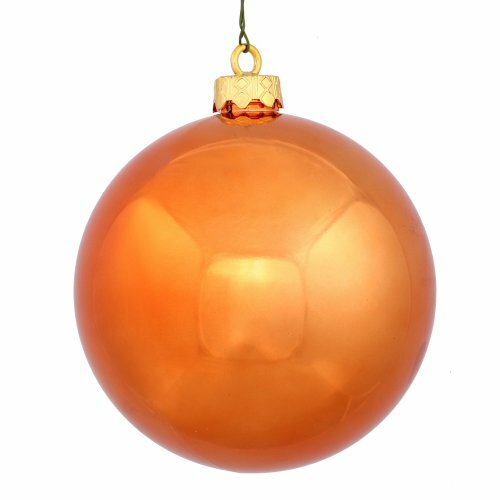 He was one of the founders of the team. 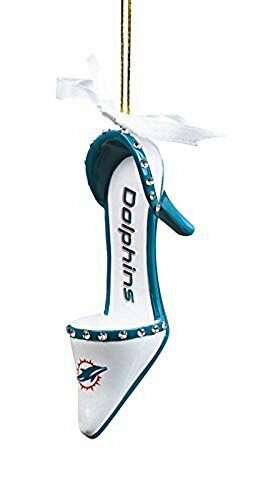 The team’s cheerleaders are known simply as the Miami Dolphins Cheerleaders. 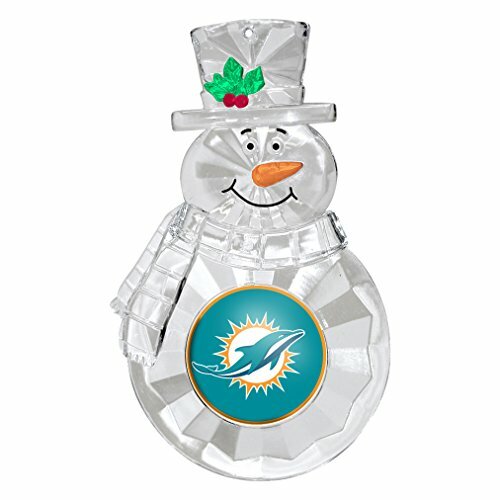 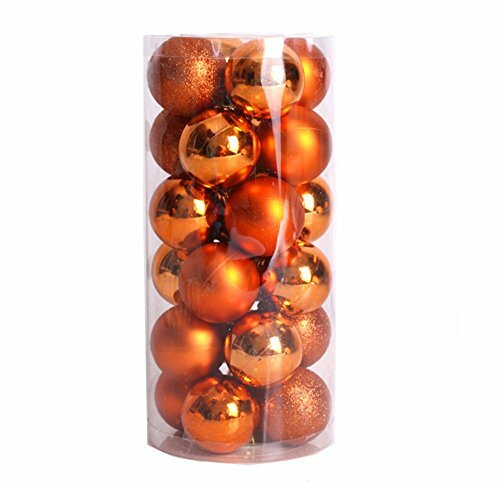 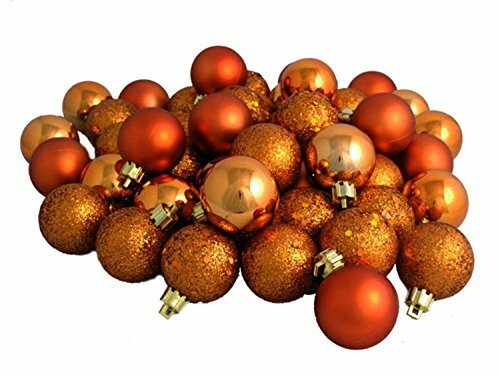 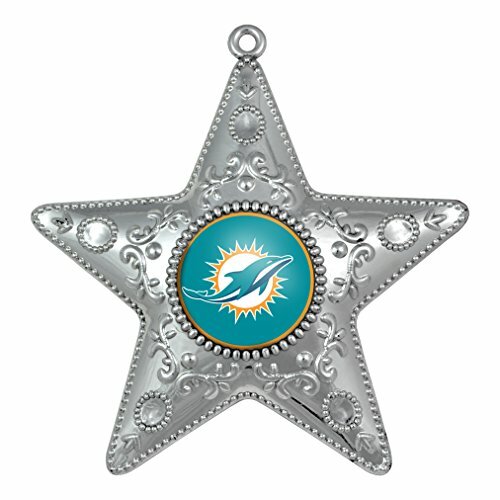 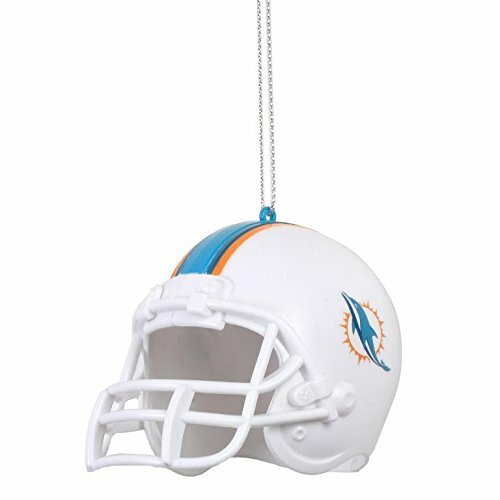 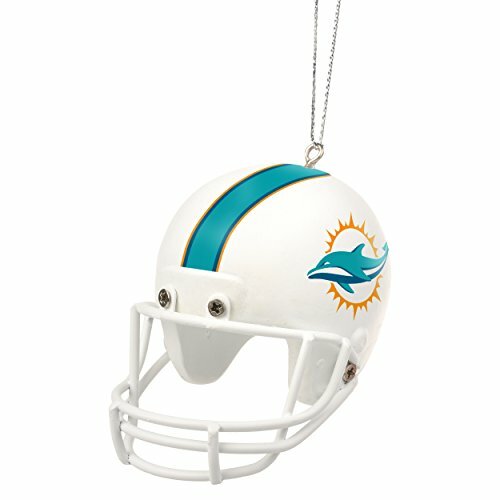 Here is a group of beautiful aqua and orange ornaments to fill out your Miami Dolphins Christmas tree. 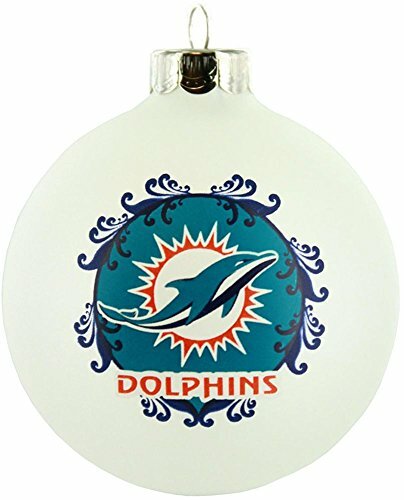 This will be a unique and stunning tree!